so excited to announce an amazing giveaway today! one lucky winner will win an amazing piece from the jewelmint collection at jewelmint.com! jewelmint is a free members-only website with beautiful and affordable jewelry and new pieces being added every month! i fell in love with this gorgeous turquoise ring (big surprise, i love turquoise!) and this bolo tie necklace! 3. comment below letting me know which jewelmint piece is your favorite! the best part is that everyone will win (in a way) because with your first purchase through jewelmint you can receive two pieces for the price of one! giveaway will end monday night and the winner will be announced tuesday the 24th- giveaway is open to u.s. & canada only! I love their gold ampersand necklace! So cute!!! 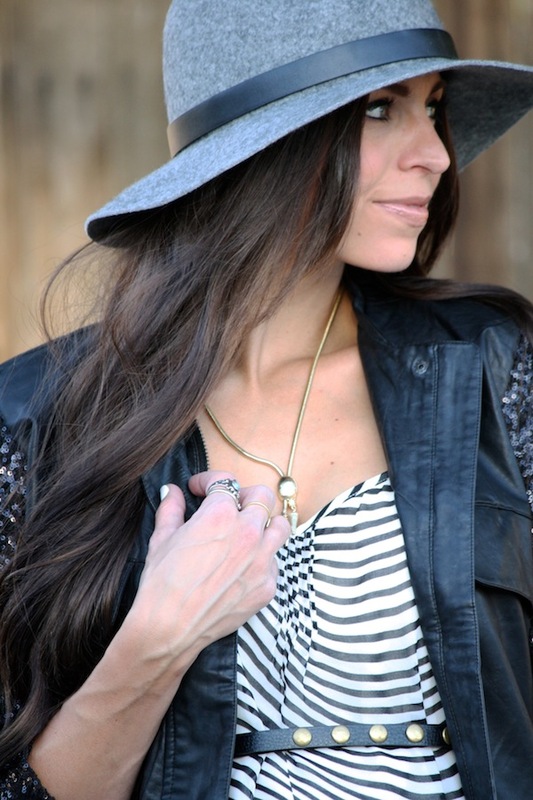 I love the triangle drop necklace or the Turquoise spike necklace! I am also a big fan of turquoise! Your outfit is super cute and I love your necklace. Blue flame necklace, but there are SO many cute things! Love jewel mint. Way cute jewelry. My favorite would be the rose gold infinity necklace or the pastel dream earrings. the marla necklace! love them all though.. i'd love to win!! i love the small shark tooth stud earrings! Those booties ;) L O V E 'em! Yep! Totally loving ROSE GOLD C LOWERCASE INITIAL NECKLACE. Soooo pretty! What an awesome opportunity, thank so much! They have the best jewelry for a great price which is right up my alley! I love the Mint Green Teardrops Studs! Can you saw gorgeous?! You are darling! I want the spiral glaxaxy bracelet! I'm a member of jewelmint, my favorite jewelmint piece is the small crystal bib with neon pink cord! Love the contrast! Love this contest! Obviously a follower & now a Jewelmint member! The Gardner Earrings are to die for! Love the stricter and color! I love the Golden Plank necklace. Unfortunately, it’s sold out, so I’ve just added myself to the wait list. The loren necklace is beautiful . . . I am a follower via bloglovin and a member of jewelmint. I love the mint green studs! Love the silver wishbone necklace! I follow you on bloglovin and signed up for Jewelmint. I love their Starry Deep Ring! love the silver feather bracelet! Love the Gold Plated Druzy Agate & Spike Pendant! 1. I am a follower on GFC : Jennifer Truong ! 3. I love the Gold Elephant Bracelet and the Rose Gold Pave Infinity Necklace! I am a follower and created an account on jewelmint. My favorite piece is the chunky agate bracelet. Oh my goodness! I just adore your blog! Following you via GFC as: Callie Bowers...created an account with jewelmint...and absolutely love the wishbone silver necklace! so dainty and perfect for everyday wear! Love the vintage dial pendant on their site. Talk about a statement. I follow your blog and JewelMint, so many cute items but I love the (gold ring set). I adore your style and blog! My favorite piece is the Solange Fantastic Voyage Necklace. It's so different! My favorite piece is the MARLA Necklace. The matte gold necklace would make a statement on anyone! Pair this necklace with a great pair of skinny jeans, black oversized slouchy top and bomber jacket, and bold berry lip and you would be an absolute showstopper!! Following via Bloglovin (Andrea Darst), have been a Jewelmint member for a long time (andreaunke@yahoo.com) and it's soooo hard to pick one piece! I'll go with the Gold Inverted Hoops or the Rose Drip Necklace (just 2 of many wishlist items!) :) Fingers crossed! - Small crystal bib is calling my name! very cute. Added new pieces to my favorites list. LOVE the PALE PINK DRUZY DROP NECKLACE!! Everything is so gorgeous! Rose gold lowercase e necklace! Love the turquoise spike necklace!! I love the turquoise spike necklace and so much more! I am a follower of your blog and have a jewelmint account. I follow and Im already signed uo!! I am really loving the Pastel Dream Earrings - so cute! Super cute outfit! I like the Go East Ring. Thanks! I follow you on GFC. I'm loving the show stopper necklace! Thanks for a chance to a great giveaway! I love the silver sideways cross. Thank you! Hi, I was just curious...what size is your dress? I totally want to get it. I'm four month pregnant and my belly is starting to show!